It's hard to imagine what it might have felt like to be one of those inside the circle of trust Jesus had. Peter, James and John were in the inner circle and got to be a part of things that no one else witnessed. In Mark 9, Jesus took them up to the top of a mountain and He changed right before their eyes! Bright white light consumed them and then suddenly there appeared Elijah and Moses talking to Jesus! Unbelievable! Talk about a Kodak moment! And no need for a flash! The simple truth is this: the closer we get to Christ the more amazing life can become. This same trio went along with Jesus to the Garden before He was arrested and crucified. They also got to go inside Jairus' home and watch his 12 year old daughter come back to life. Miracles and astonishing things were part of their daily routine. So what's your daily routine like? Are you seeing incredible things brought about by the hand of God? Maybe its time to get closer to Him...to lean into the Lord through prayer and meditating upon His Word. You will find many promises for you and your life. He will become whatever you need Him to be. And you will become what He has designed you to become! 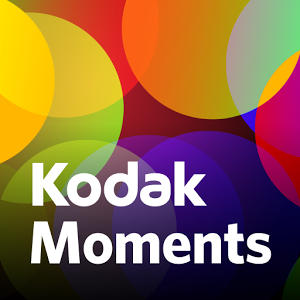 Get ready and you may just catch your own Kodak moment!